Dunham will be playing a character named Gypsy. Okay, now I'm genuinely excited. An actor who starred in the Western television series Bounty Law from 1958 to 1963. His attempt to transition to movies did not work out and in 1969, he is struggling, guesting on other people's shows while contemplating going to Italy – which has become a hotbed for low-budget Westerns. He is neighbors with Sharon Tate. Rick's longtime stunt double and close friend. A pregnant actress married to Roman Polanski, who was murdered in her home by followers of Charles Manson. An 80-year-old nearly blind man who rented his LA ranch out to be used as a location for Westerns. 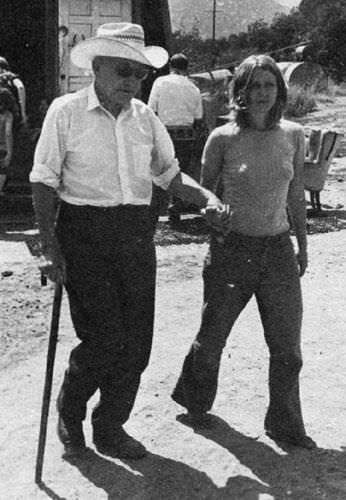 Manson convinced Spahn to allow him and his followers to live on the ranch, in the months before they murdered Sharon Tate and six others. In exchange for rent, Manson coerced his female followers into hopping into bed with the ranch owner, and serving as his seeing eye guides. An actor and friend of Jay Sebring, who was invited by him to the home of Sharon Tate for a dinner party, but he was unable to show up. An actor who co-starred on the western television series Lancer. A Hollywood hairstylist and friend of Sharon Tate who was murdered in the home of Tate by followers of Charles Manson. A member of the infamous "Manson family" who obtained her nickname whilst living on George Spahn's ranch. She was not directly involved in the Tate murders. An actor-director who, in 1969, began a campaign to rebuild the Shakespeare's Globe in London. A fictional cowboy character on Bounty Law. The television personality and interviewer to Hollywood’s elite. The international actor-stuntman who choreographed fight scenes for The Wrecking Crew, which starred Sharon Tate. Following her murder, he attended her funeral and was also privately investigated. A member of the "Manson family" who was not directly involved with the Tate murders. A central member of the "Manson family" who, alongside three other members, was directly involved in the Tate murders. I was hoping George might appear in this, but alas. 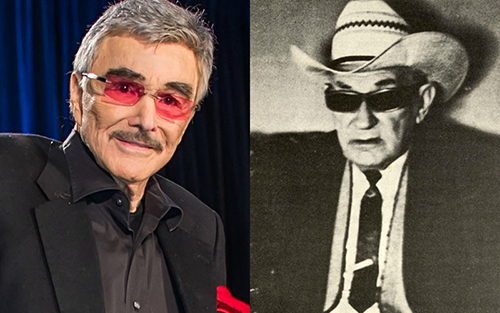 Wonder if Burt will lose the mustache? QT has cast his Roman Polanski: Rafal Zawierucha. Anyone wanna take a stab at who’s playing Manson? I think you could ugly up Joseph Gordon Levitt enough to pull it off..
A fat Jimmy Fallon is. We gonna talk about the poster?